This living room was designed for casual living on the beach. 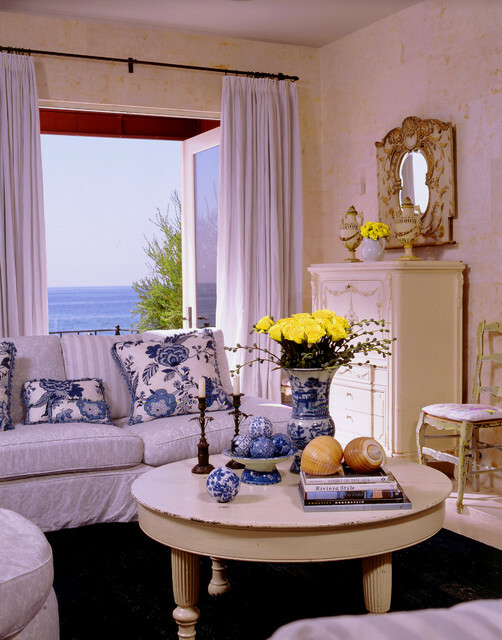 The furniture is covered with slipcovers that are easily washed. The blue and white color scheme reflects the ocean with it's many shades of blue and white.